A Los Angeles holiday season is far from traditional. There's no snow, the sun still shines on most days, and the temperature hardly drops below 60 degrees even in the early hours of the morning. Along with weather that refuses to give into the holiday cheer, the urban environment offers few opportunities to truly deck the halls, especially if you rent a small apartment like me. While I won't be carefully stringing colorful lights outside and I don't have a fireplace on which to hang fuzzy stockings, I certainly still plan of filling my home with festive (and stylish) holiday décor. I also plan on staying within my budget while doing so since I'd much rather invest in statement pieces that will stand the test of time—not just a single holiday season. Plus, I don't think my roommates would be pleased to find our small, communal hall closet filled to the brim with holiday décor come January. In order to get my holiday fix without committing to large items, blowing my budget, or even needing a hammer and nail, I scoured a few affordable home décor brands for their best apartment Christmas decorations. Here are 15 items currently in my cart that deliver on festive style and don't cost more than $100. 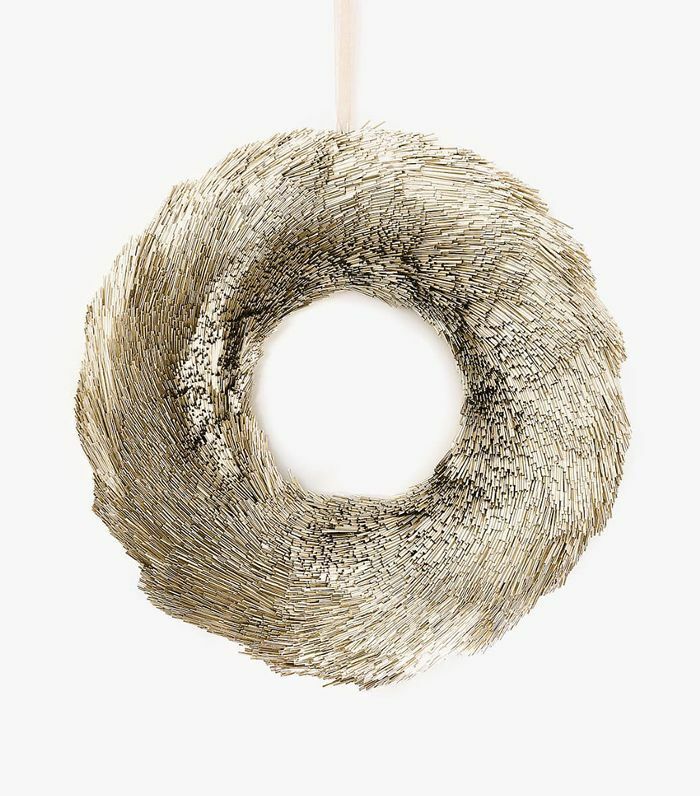 Instead of a traditional leafy wreath, this gold one with a feathered effect is the perfect way to welcome the holidays into your apartment. It's also easy to hang with a simple over the door hook that won't leave any damage. It would even look chic hanging indoors if you have the wall space. 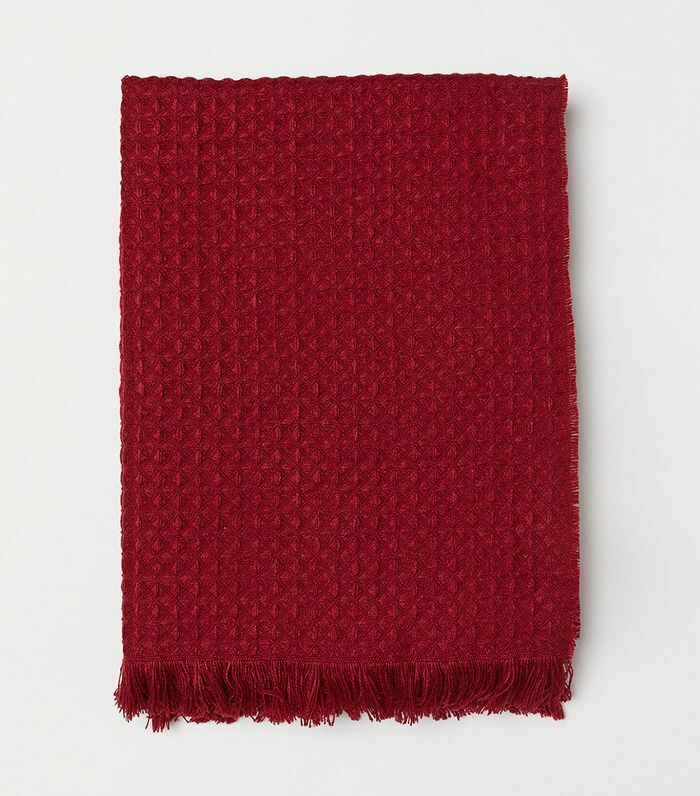 Add a cozy element to your living room with a crimson red throw blanket like this find from H&M. It's perfect for curling up with a good book on the couch by a crackling fire (or a scented candle). 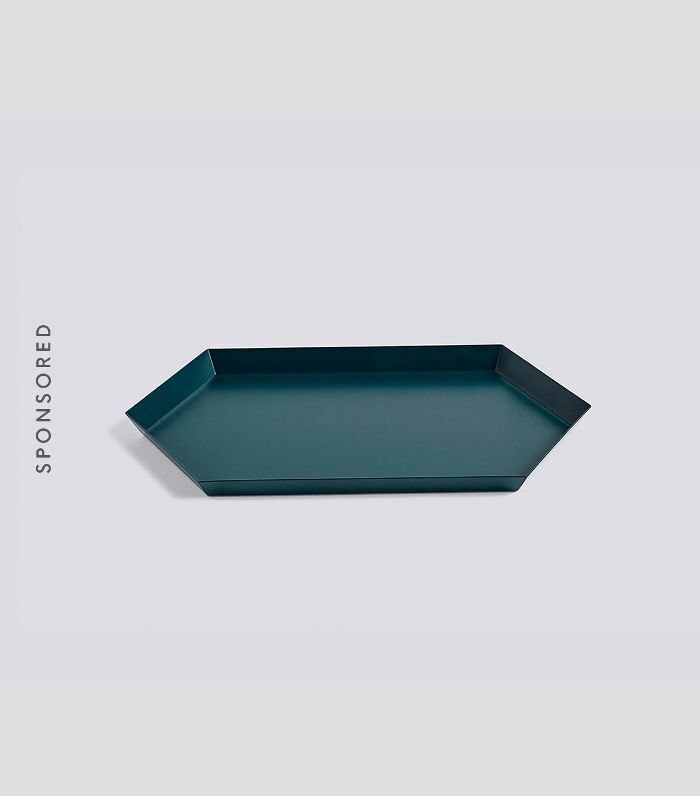 This green tray is the easiest way to add a little festive color to your space. Just stack candles and seasonal decor on top and your coffee table will have an instant makeover. 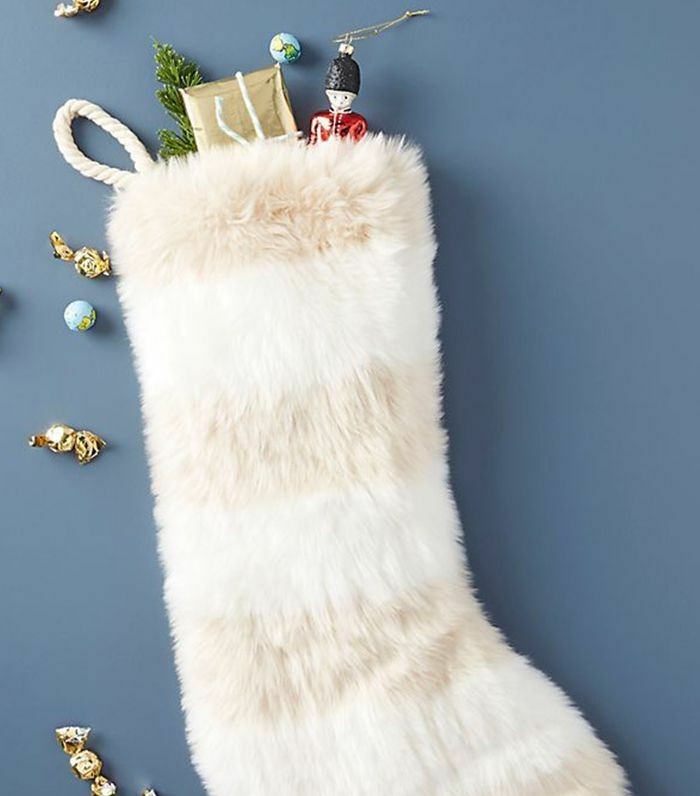 Forgo traditional felt stockings for a fuzzy faux-fur decoration. Even if you don't have a mantle above a roaring fireplace to hang them, they'd look whimsical strewn about a coat hanger by the front door or under the tree. Whether you have a tall tree or a small plant to decorate, these velvet ornaments are a chic holiday decoration fit for an apartment. You can even display them in a decorative tray or bowl on the coffee table with pinecones and other objects for a seasonal centerpiece. 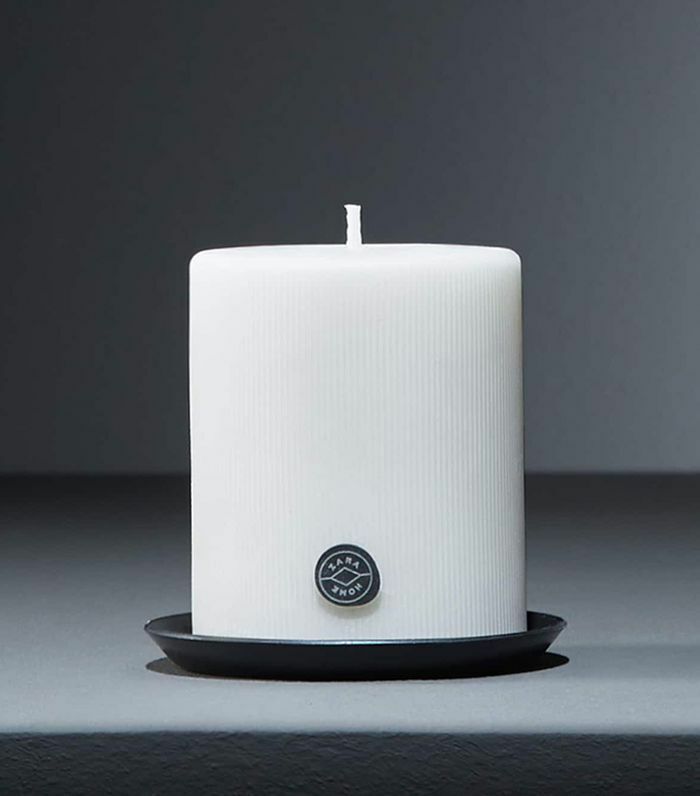 Lighting a scented candle is one of the simplest ways to prepare even the tiniest of space for the holidays. Your apartment will instantly feel warm, inviting, and calm. 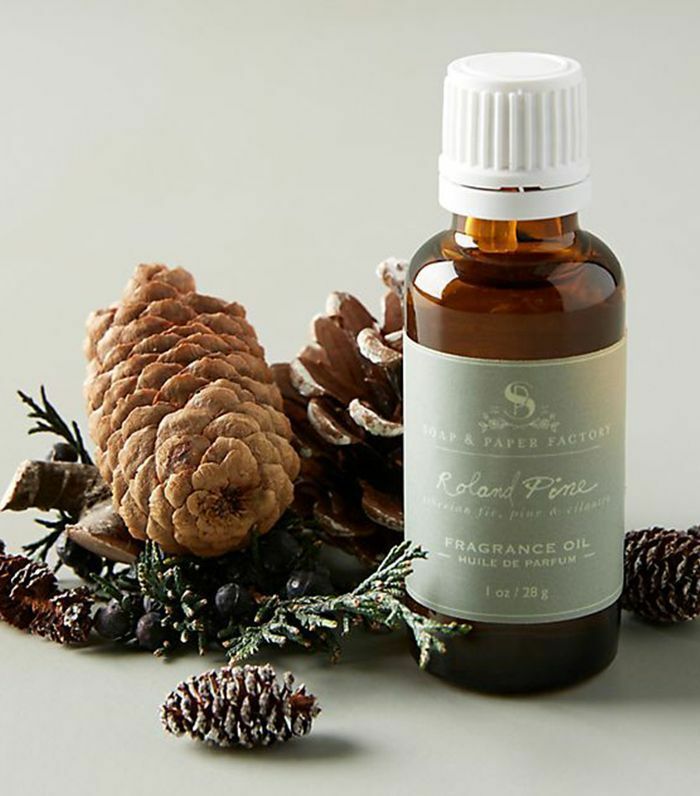 If it simply isn't possible to get a Christmas tree into your apartment, this pine-scented fragrance oil is the next best thing. It will make your whole home smell just as festive as the real thing. 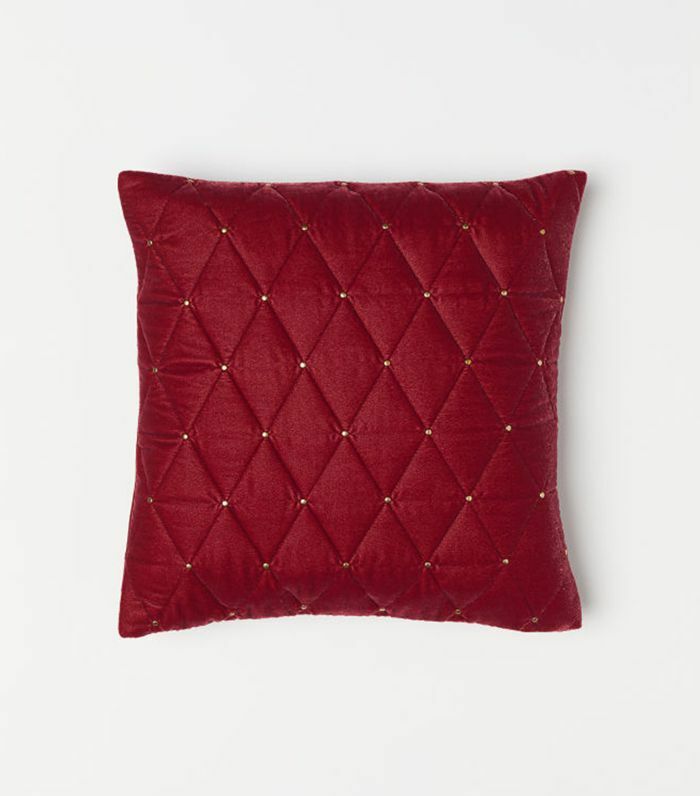 There might not be a simpler holiday décor upgrade than a festive throw pillow cover. You can easily slip off your usual cover for one that's more fitting for the season. Then, when the holidays have passed, fold it up and save it for next year. 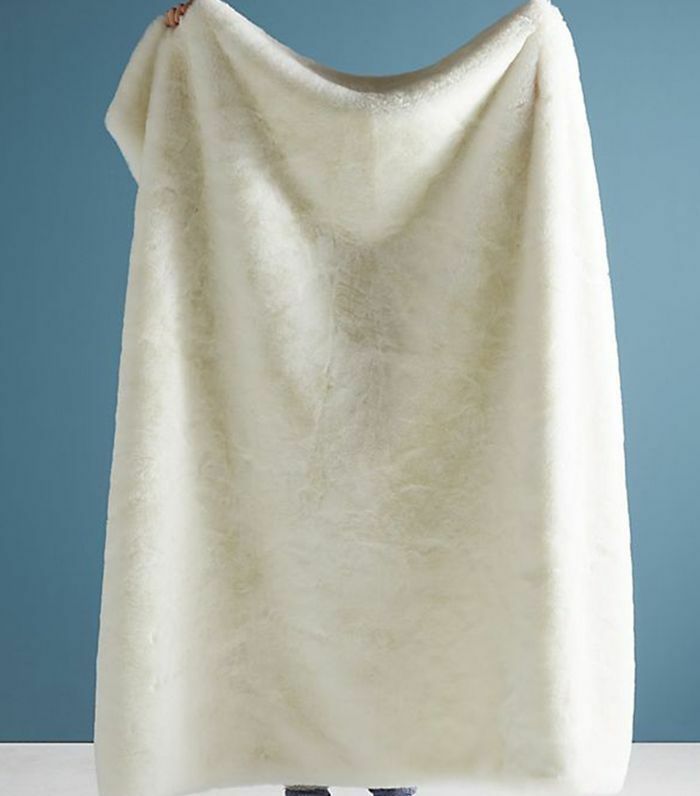 This faux-fur throw blanket was made for cuddling up on a cold day. The white color is perfectly festive and will go with just about any existing décor. 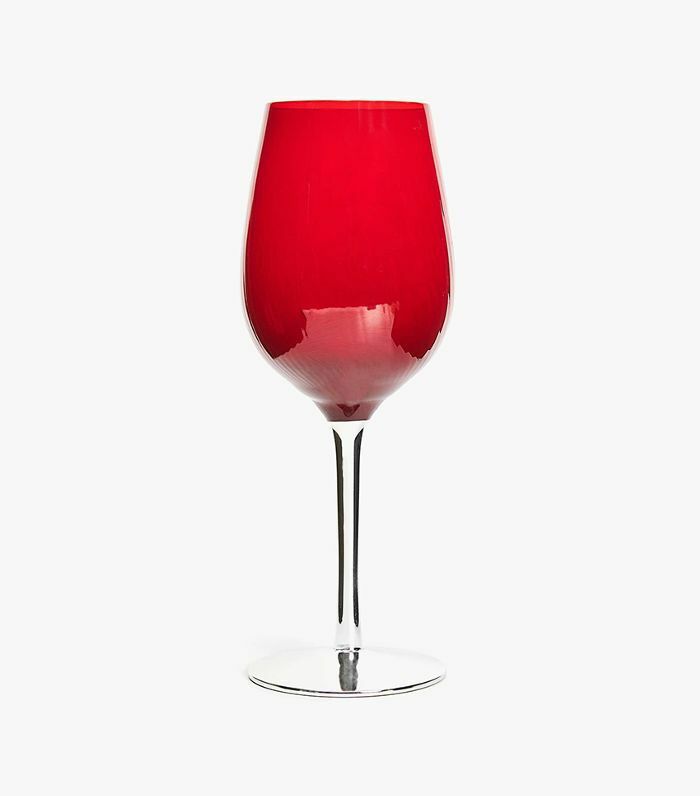 You could surely find an excuse to use these ruby red wine glasses with a striking mirrored base long after the holidays have passed, but they'd look especially stunning around a festive tablescape. Grab a bottle of wine to pour in the beautiful stemware and invite over a few friends to kick off the season right. White and gold are classic winter colors that embrace the holiday spirit. 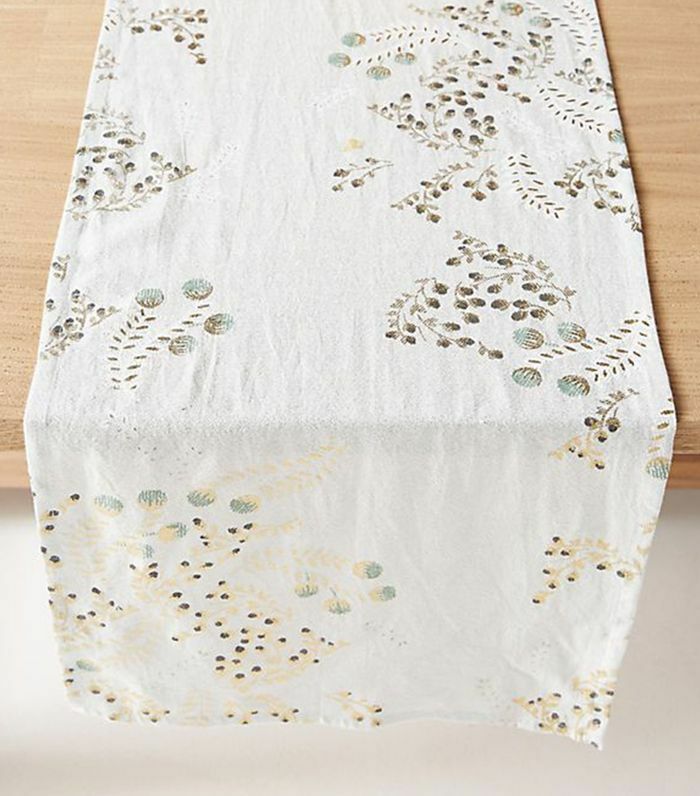 This mesh table runner actually has reversible sequins that can be turned over for festive glints of gold. If you're planning on doing any hosting this holiday season, a gold charger plate should be on your list. 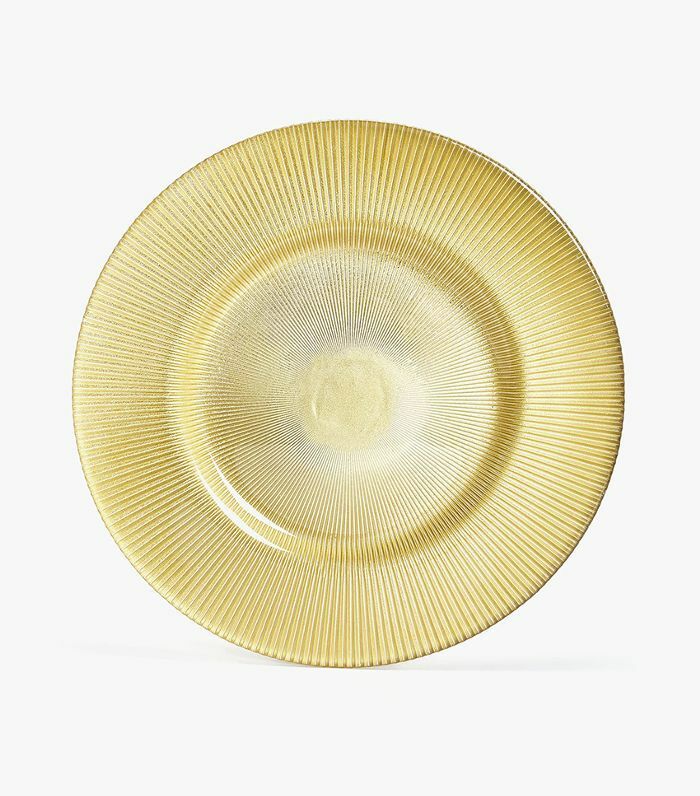 The decorative plate will serve as your base when you set the table, and it's a small element that's sure to impress. 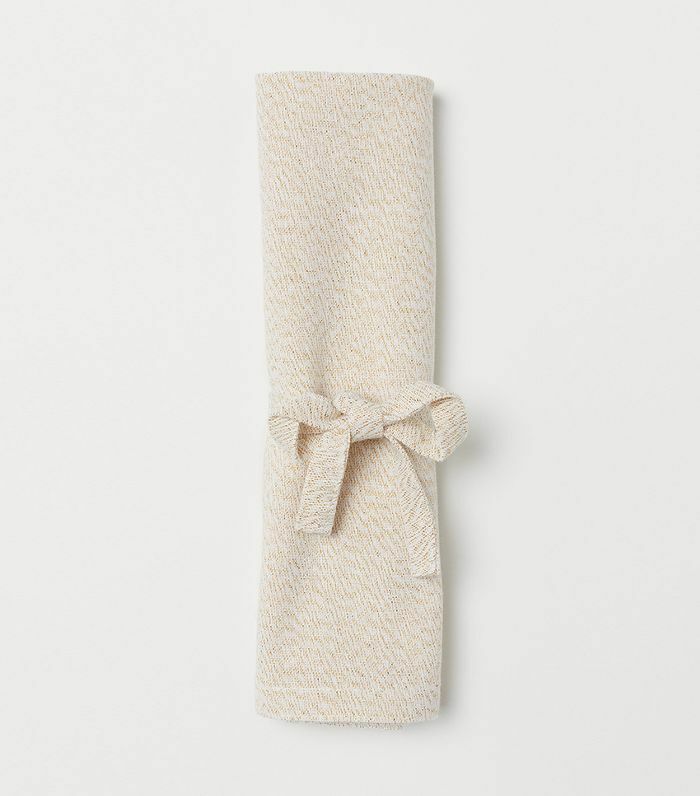 A simple cotton napkin can elevate any kitchen table into a formal dining space. 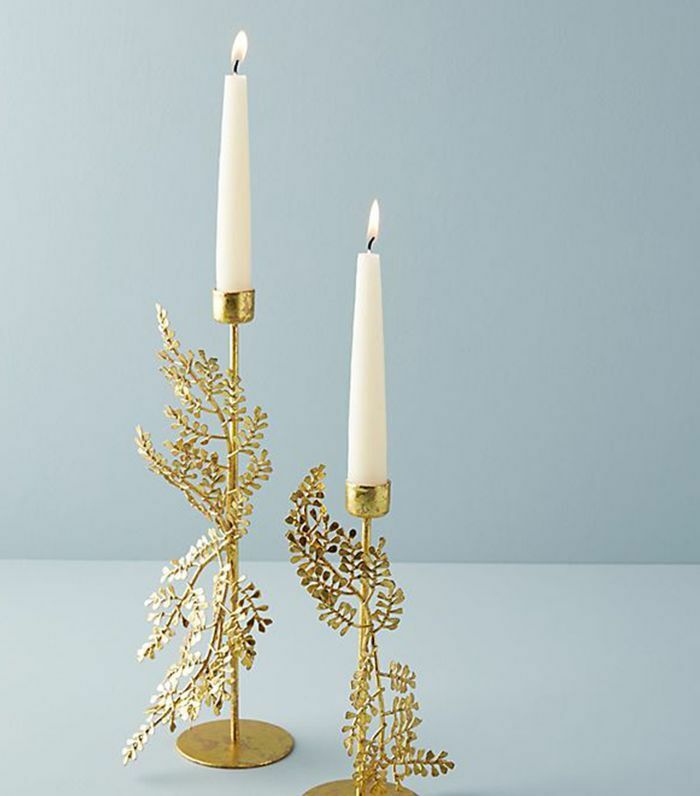 With subtle glittering gold, these would look festive at a holiday dinner party and they're seriously affordable to boot. When it comes to creating an inviting entertaining environment, it's all about layers. 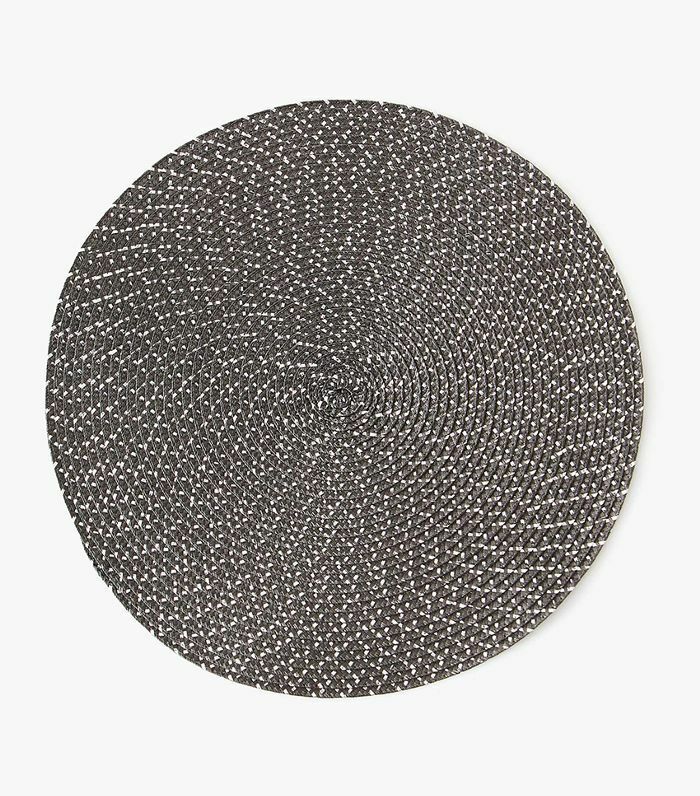 This metallic threaded placemat could be used year round, but it would look particularly good during the holiday season with white or silver tableware. There's no need to display an obvious red or green table runner to convey the holiday spirit. 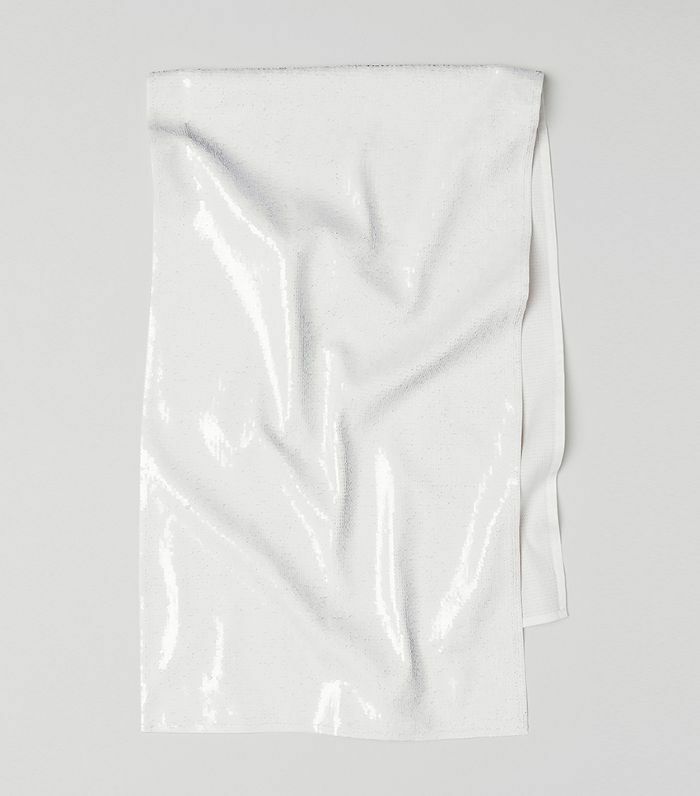 This silver piece from Anthropologie gets the job done in a way that's sophisticated and understated. 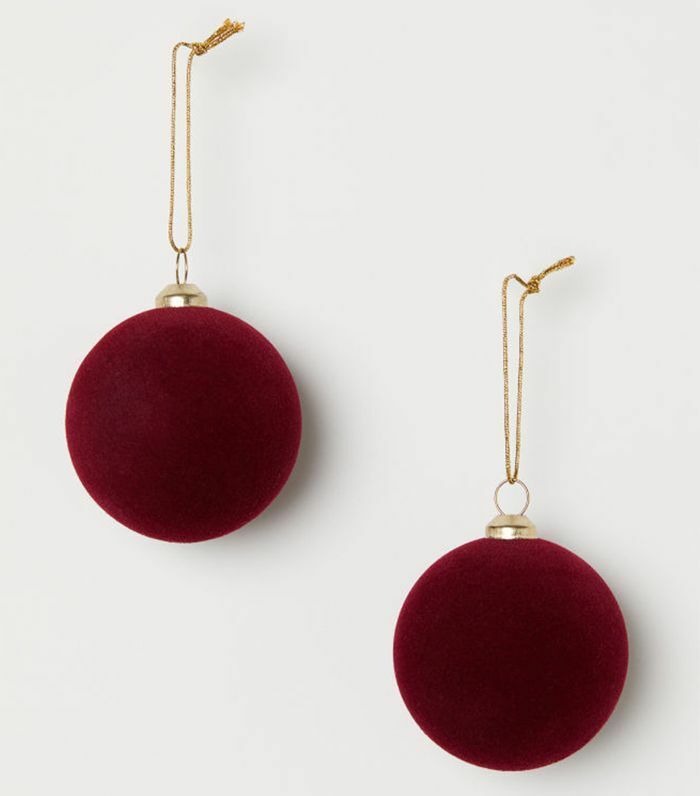 These elegant gold taper holders are chic and festive. The wire and iron design makes the décor almost look as if it's dancing along with the flickering flame you'll light atop the candle. Sign up for MyDomaine's newsletter for more holiday décor inspiration sent straight to your inbox.